^ 2.0 2.1 2.2 2.3 Serway, Raymond; Jewett, John. Physics for Scientists and Engineers with Modern Physics 9th. Cengage Learning. 2013. ISBN 978-1133954057. 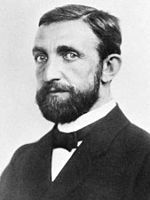 ^ The Nobel Prize in Physics 1921. Nobel Foundation. [2013-03-16]. ^ Lamb, Willis E.; Scully, Marlan O. Photoelectric effect without photons, discussing classical field falling on quantized atomic electron. 1969. ^ Vesselinka Petrova-Koch; Rudolf Hezel; Adolf Goetzberger. High-Efficient Low-Cost Photovoltaics: Recent Developments. Springer. 2009: 1–. ISBN 978-3-540-79358-8. ^ Smith, W., (1873) "Effect of Light on Selenium during the passage of an Electric Current" 页面存档备份，存于互联网档案馆. Nature, 1873-02-20, p.303. ^ Fowler, Michael. photoelectric effect. Modern Physics. [2013-08-27]. ^ Stoletow. C. R. cvi. pp. 1149, 1593; cvii. p. 91; cviii. p. 1241; PhysikalUche Revue, Bd. i., 1892. ^ 15.0 15.1 15.2 J. J. Thomson. Conduction of Electricity Through Gases. Watchmaker Publishing. March 2005. ISBN 978-1-929148-49-3. ^ Robert Bud; Deborah Jean Warner. Instruments of Science: An Historical Encyclopedia. Science Museum, London, and National Museum of American History, Smithsonian Institution. 1998. ISBN 978-0-8153-1561-2. ^ 18.0 18.1 Smithsonian Institution. Board of Regents. Report of the Board of Regents　. The Institution. 1914 [22 August 2013]. ^ Herbert Stanley Allen. Photo-electricity: The Liberation of Electrons by Light, with Chapters on Fluorescence & Phosphorescence, and Photo-chemical Actions & Photography. Longmans, Green and Company. 1913 [2 September 2013]. ^ 25.0 25.1 Millikan, R. A Direct Photoelectric Determination of Planck's "h" (PDF). Physical Review. 1916, 7 (3): 355–388. Bibcode:1916PhRv....7..355M. doi:10.1103/PhysRev.7.355. ^ Bubb, Frank. Direction of Ejection of Photo-Electrons by Polarized X-rays. Physical Review. 1924, 23 (2): 137–143. Bibcode:1924PhRv...23..137B. doi:10.1103/PhysRev.23.137. ^ Tavernier, Stefaan. Experimental Techniques in Nuclear and Particle Physics illustrated. Springer. 2010. ISBN 9783642008290. ^ Tsokos, K. A. Cambridge Physics for the IB Diploma revised. Cambridge University Press. 2010. ISBN 9780521138215. ^ 31.0 31.1 Hüfner, Stefan. Photoelectron Spectroscopy: Principles and Applications illustrated. Springer. 2003. ISBN 9783540418023. ^ Hercules, D. M.; Hercules, S.H. Al. Analytical chemistry of surfaces. Part I. General aspects. Journal of Chemical Education. 1984, 61 (5): 402. Bibcode:1984JChEd..61..402H. doi:10.1021/ed061p402. ^ 39.0 39.1 Evans, R. D. The Atomic Nucleus. Malabar, Fla.: Krieger. 1955. ISBN 0-89874-414-8. ^ Davisson, C. M. Interaction of γ-RADIATION with Matter. 1965: 49.